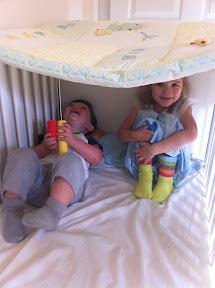 Today Mom made a fort for Alyce and Luke to play in. Judging by this picture I'd say they enjoyed themselves. The fort was a blanket over Luke's crib.